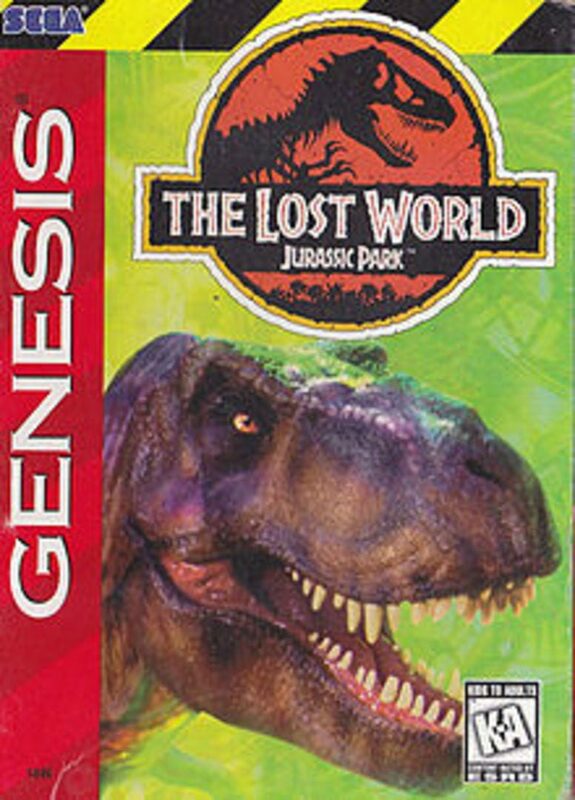 The Lost World: Jurassic Park is a SEGA Genesis game made by Appaloosa Interactive (developers of Ecco the Dolphin). It is based on both The Lost World and the movie. The game is played from an isometric view. The island is divided into 4 hub areas, each of them contains levels. The players has freedom to choose which level they want to play first. Players start with a taser, a tranquilizer gun, and a shotgun as their starting weapons. However players can collect more weapons, such as machine guns to grenades. Players can use a body armor that gives them more chance of survival ("giving" them more health), and use vehicles, such as the Mercedes-Benz M-Class seen in the film. The players can also use a GPS system used for mission objectives and a map. The player, as a hunter (Player 1) and Ian Malcolm (Player 2) is sent to Isla Sorna by InGen to capture some dinosaur specimens and battle another group of hunters (it is unknown whether they are sent by Peter Ludlow, Biosyn, or simply poachers).